Model: The minimum radius for operation is 360 mm / 14-3/16". The underbody is specific to the car. The car has Fiat design type Y0270 S trucks without lateral motion shock absorbers and without magnetic rail brakes. 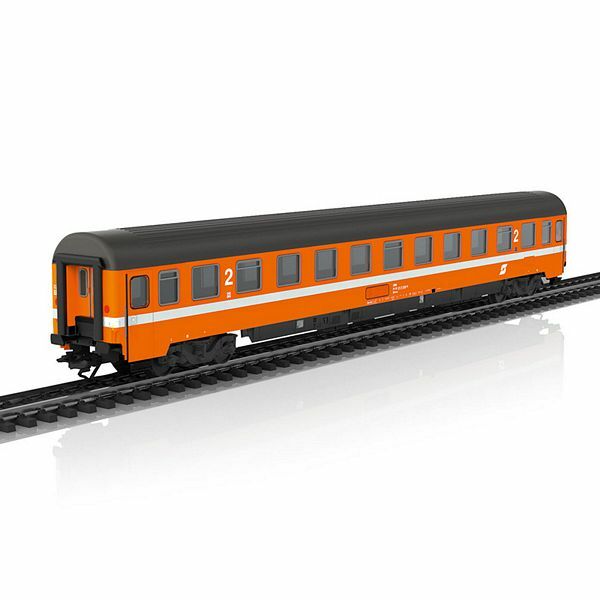 The 7319 current-conducting couplings or the 72020/72021 current-conducting couplers, the 73400/73401 lighting kits (2 each per car), the 73406 pickup shoe, and the 73407 marker light kit can be installed in the car. A set of decals with car routes is included. Length over the buffers approximately 28.2 cm / 11-1/8". DC wheel set 4 x 700580.